Jason was born to Jay and Mary Tilby. He was the fifth of seven children. Jason is survived by his wife, Shannon, his brother Brian (June) and his sisters, Tamera and Christine (Mike), his sons, Shon (Patti) and Trent (Nancy) and daughters, Tiffany (Shane), Kayte and Jeanette (Daniel) and his 11 grandkids and one great-grandson, Colston. He was a loving husband, father, grandfather and great-grandfather. He was patient without measure and continually in the service of those around him. He routinely went above and beyond, but always put his family first. He taught life lessons, usually in an unconventional way, and was a wealth of knowledge on a great number of topics and held many degrees, including his Juris Doctorate. His passions included being with his family, shooting, flying, golfing and napping – all of which he excelled at. He had several careers, working as a medical technologist in California, Idaho & Utah and a lawyer in California & Idaho. He also obtained his pilot's license and flew for years before hanging up his wings. He had a profound love of music and played French horn & accordion. Jason touched every life he came in contact with and he will be greatly missed. The viewing will be held Thursday, March 14, 2019 from 6 to 8 p.m. and the funeral will be Friday, March 15, 2019 at noon. Services will be held at the LDS church building 6253 W 6200 S Kearns, UT 84118. Blaine R. Williams, 87, of Buhl passed away March 10, 2019, in Twin Falls, Idaho. Blaine was born in Nounan, Bear Lake, Idaho on November 13, 1931. At the age of five, the family moved to Hibbard, a community northwest of Rexburg, where he attended elementary school. In 1950 he graduated from Madison High School in Rexburg. He was active in FFA, speech, choir and drama. He served an honorable mission in Western Canada from 1953 to 1955. Following his mission, he was drafted into the U.S. Army in 1956. He completed his army schooling at Fort Eustice, Virginia and completed his two years of active duty in the Harbor Craft Station at Hanford, Washington. This was followed by two years active reserve and two years standby, upon which he received an honorable discharge in 1962. Blaine married Melda LaRae Cox, of Veradale, Washington, in the Idaho Falls, Idaho Latter-day Saints Temple on August 31, 1956. To this union were born eight children: LaDean (Ray) Miller of Gooding, Idaho, Shauna (Myron) Groom of Mountain Home, Idaho, Teresa (Conn) Hellickson of Buhl, Idaho, Melanie (Brian) Olney of Roy, Utah, Val (Maria) Williams of Chubbuck, Idaho, Jill (Charles) Orchard of Fort Collins, Colorado, Neil (Suzanne) Williams of Twin Falls, Idaho and Dr. Keith (Melanie) Williams of Boise, Idaho. Blaine has always been an active member of the Church of Jesus Christ of Latter-day Saints and served in many callings. Blaine worked for the U.S. Government for 31 years, retiring in November 1990. In 1991 he began 18 years of working with AIS Irrigation and Supply. Since September 2009 he has worked for Sliman & Butler Irrigation. All his working years he had many part-time jobs to support his family. He sang with the Magichords Barbershop Chorus in Twin Falls for 19 years. While in the chorus, he served for two years as president and was named Barbershopper of the Year for 1994. Blaine was preceded in death by his father, Cassadore Williams; mother, Emma Ricks Williams; brother, Glen Williams; and sister, Anita Williams. He is survived by his two sisters, JoAnn Christensen; and Jean Pollitt of Utah; his wife of 62 years; eight children; 34 grandchildren; and 18 great-grandchildren. A funeral service will be held at 11 a.m., Saturday, March 16, 2019, at the Church of Jesus Christ of Latter-day Saints, 1001 Fair Street, Buhl, Idaho, with Bishop Ryan Bowman conducting. Family will greet friends and family from 9:30 to 10:30 a.m. Graveside dedication will follow at West End Cemetery. Condolences and memories may be shared with the family on Blaine's memorial webpage www.farmerfuneralchapel.com. BURLEY – D. Jennie Egbert, an 89-year-old Burley resident, passed away Sunday, March 10, 2019, at Rosetta Assisted Living in Burley. Jennie was born September 30, 1929 in Victoria, Newfoundland, the ninth of ten children born to Alex James and Amelia Clarke Stephenson. She attended school in Victoria, and secretarial school in Carbonear. She worked for John Clouston Ltd. in St. John’s. She was also a member of the Women’s Royal Canadian Naval Service. In June 1956, she set out to visit her sister Eva in New York, where not long after, Eva’s husband, Mike, brought a fellow sailor home for the weekend. That is how she met John C. Egbert from Leavenworth, Washington. They were married November 30, 1956 in Rochester New York, and their marriage was solemnized in the The Church of Jesus Christ of Latter-day Saints Idaho Falls Temple in 1961. Jennie and John made their homes in Brooklyn, New York; Okinawa, Japan; San Diego; Maryland; Argentia, Newfoundland; and finally in Burley, Idaho. Mom loved Burley, except for the wind. She cherished the many friendships she made here. She was a convert to The Church of Jesus Christ of Latter-day Saints, having been baptized in the East China Sea while in Okinawa in 1960. She served in many callings, including as a missionary in the Connecticut Hartford Mission in 1995-96, and as an ordinance worker in the Los Angeles, San Diego, and Boise Temples. Jennie’s life centered on family and service. She is known for her delicious homemade bread, raspberry squares, and other baked goods. Her life was full of caring for others. She loved and cared for her dear husband during many long years of ill health. She is survived by her children, Ann (Randal) Allred of Laie, Hawaii; John James (Mary) Egbert of Phoenix, Arizona; Janet Claire (Gordon) Hansen of Burley; and Joseph William (Wendy) Egbert of Las Vegas, Nevada; 15 grandchildren; 13 great-grandchildren; sisters, Mary Dawe of Upper Gullies, Newfoundland and Eva Leslie of Webster, New York; brother, William Stephenson of Victoria, Newfoundland; and numerous nieces and nephews, whom she loved. Jennie was preceded in death by her husband, John; her parents; six brothers and sisters, and two grandchildren, Clarke and Camille Hansen. The funeral will be held at 11 a.m. Saturday, March 16, 2019 at The Church of Jesus Christ of Latter-day Saints – Star chapel, located at 96 S. 200 W., Burley, Idaho, with Bishop Jeremy Haymore officiating. Interment will follow at Gem Memorial Gardens in Burley. A visitation for family and friends will be held from 6 to 8 p.m. Friday, March 15, at Rasmussen-Wilson Funeral Home, 1350 E. 16th St., in Burley, and one hour prior to the funeral service at the church on Saturday. The family expresses their special appreciation to the staffs of Rosetta Assisted Living and Harrison’s Hope Hospice for their loving care of Jennie. Calvin Webster Flint of Buhl passed away March 9, 2019 at a local care facility after a long fight with Parkinson’s Disease. He was born August 30, 1932 in West Layton, Utah to Leonard Spencer Flint and Josie Juanita Webster. Cal was the seventh of eight children, all born at home. Cal was educated in the Davis County School District, graduating from Davis High School in 1951. After graduation, Cal went to work for a short time at Hill AFB. On December 2, 1952, he was drafted, along with several friends from school, all of whom served in Korea. Cal’s first assignment was with heavy mortar, and for about a year he was assigned to driving a big truck, hauling ammunition and troops back and forth to and from the front lines. While in the service, a fellow soldier gave him a picture of a young lady from Salt Lake City. Her name was Dorothy Evans, and they began to write back and forth to each other. Cal returned home in September of 1954, and one of the first things he did was look up the girl whose picture he had kept all this time. Cal and Dorothy married in the Salt Lake Temple on October 7, 1955 and made their home in Kaysville, Utah. These were good years, and they had three little boys and a little girl joined the family by 1967. Cal’s heart has always been in flowers, so he chose a career in the greenhouse/nursery business. He had a long career of growing, producing and selling beautiful potted plants for all occasions. All three of his sons grew up in the business and learned to work there. Dorothy was the bookkeeper, who managed the finances. In August of 1981, Calvin expanded his business to the beautiful Hagerman Valley to take advantage of the natural geothermal hot water. He has employed many people who have also been touched by his goodness and have become lifelong friends. Cal also enjoyed the outdoors. He loved bird hunting, fishing, boating, and camping trips with his family. Cal was a member of the Church of Jesus Christ of Latter-day Saints. He has served in many capacities, including Bishopric, scouting and several stake and ward callings. Calvin is survived by his wife of 63 years, Dorothy; and children, Brent Calvin Flint of Buhl; Layne Terrell Flint (Robyn) of Kimberly; Stan Leonard Flint of Twin Falls; and Julie Flint Hobbs (Cory) of Ogden, Utah; also 12 grandchildren and 16 great grandchildren. A viewing will be held from 5 to 7 p.m., Sunday, March 17, 2019, at Farmer Funeral Chapel, 130 9th Ave North, Buhl, Idaho 83316. A funeral service will be held at 2 p.m., Monday, March 18, 2019, at The Church of Jesus Christ of Latter-day Saints, 1001 Fair St, Buhl, Idaho, with a viewing one hour prior to service. The family would like to show their appreciation to Genesis Twin Falls Care Center, Encompass Hospice, and Farmer Funeral Chapel. Condolences and memories may be shared with the family on Calvin’s memorial webpage www.farmerfuneralchapel.com. TWIN FALLS—Funeral service will be held today at 11 a.m., at Farmer Funeral Chapel, 130 9th Ave N, Buhl with a viewing one hour prior to service. GOODING—A memorial celebration of life at 2 p.m. Friday, March 15, 2019 at Demaray Funeral Service—Gooding Chapel. TWIN FALLS—There will be a viewing Thursday, March 14, 2019 from 6 to 8 p.m., at Rosenau Funeral Home, 2826 Addison Ave E. Twin Falls, ID. The funeral will be Friday, March 15, 2019 at 11 a.m. Viewing begins at 10 a.m., prior to service at the Hankins LDS Church building, 680 Hankins Rd North, Twin Falls, Idaho. BUHL—Celebration of life from 1 to 3 p.m. Saturday, March 16, 2019 at the Moon Glo Village Clubhouse, 910 N 1450 E, Buhl. TWIN FALLS—A gathering will be held from 1 to 3 p.m. Saturday, March 16, 2019 at Rosenau Funeral Home. TWIN FALLS—A gathering will be held from 2 to 4 p.m. Saturday, March 16, 2019 at Reynolds Funeral Chapel. A celebration of life at Murtaugh Lake on Saturday, June 22, 2019. SHOSHONE—A memorial reception will be held on Saturday, March 16, 2019 from 1 to 3 p.m., at the Lincoln County Community Center at 201 South Beverly in Shoshone. Funeral arrangements are under the care and direction of Demaray Funeral Service – Gooding Chapel. BURLEY—The funeral will be held at 11 a.m. Saturday, March 16, 2019 at The Church of Jesus Christ of Latter-day Saints – Star chapel, located at 96 S. 200 W., Burley, Idaho. Interment will follow at Gem Memorial Gardens in Burley. Viewing will be held from 6 to 8 p.m. Friday, March 15, 2019 at Rasmussen-Wilson Funeral Home, 1350 E. 16th St., in Burley, and one hour prior to the funeral service at the church on Saturday. John Harold Dalton, 68, of Burley passed away Monday, March 11, 2019 at his home. Graveside services will be held 2:30 p.m. Saturday, March 16, 2019. At Gem Memorial Garden with Veterans rites provided by the Mini-Cassia Veterans. Services are under the direction of Morrison Payne Funeral Home. Vadna Garrard, 95, of Meridian, formerly of Burley, died Monday, March 11, 2019 at a local care center. Services are under the care of Accent Funeral Home and Cremation, Meridian. Barbara A Dessel, 89, of Paul passed away Tuesday, March 12, 2019. Funeral services will be held 11 a.m. Monday, March 18, 2019 at the Paul Congregational Church. Viewing for family and friends will be held from 5 to 7 p.m. Sunday, March 17, 2019 at Hansen Mortuary and for one hour prior to the services at the Church. Services will conclude with Burial in the Paul Cemetery under the direction of Joel Heward Hansen Mortuary. Milton Dean Fife, of Hailey, Idaho died March 9, 2019 at Silver Creek Care Center in Hailey, Idaho. Arrangements are pending under the care of Wood River Chapel. Friends may leave a condolence, share a memory or photo, and light a candle at www.woodriverchapel.com. Henry “Wayne” Whiteley was born August 24, 1934 to Polk and Elsie Whiteley of the Dean Community. He married the love of his life, Nadine Cook, daughter of Chester and Eula Newberry Cook, in Idaho on May 17, 1957, who survives him. He went from his earthly home to his Heavenly Home on March 8, 2019. Wayne lived a full life. He loved his family, his farm, and his work. He was always there to help anyone in need. He is survived by his three daughters, Tiffany and Jeff Miles, Susan and Kevin Whittaker, Tamera and Steve Geldmacher. Grandchildren: Rick and Tonya Light, Devin and Angelina Light, Caelan Young, Eli Young, Nicole and Mark Ashby, Wayne and Maeghanne Whiteley, Dustin Blackston and Shane and Comallita Blackston. Great-Grandchildren: Mason Ashby, Layla Blackston, Skylar Light, Jasmine Butler and Charlee Belle Whiteley. He is also survived by his sister, Kay Phillips Brown and sister-in-law, Donna Curtis and several nieces, nephews, other family members and friends. Wayne was preceded in death by his parents, Polk and Elsie Whiteley, his father and mother-in-law, Chester and Eula Cook, and one brother, Ronnie Whiteley, brother-in-law, Roy Cleabern Cook. Funeral service were held Monday, March 11, 2019 at the Metalton United Baptist Church with Pastor Joe Fancher officiating. Interment followed the service in the Dean Cemetery under the direction of Nelson Funeral Service. Memorial donations may be made to the Dean Cemetery Fund c/o Judy Whiteley, 808 High St., Berryville, AR 72616. Online condolences may be sent to the family at nelsonfuneral.com. © Nelson Funeral Service, Inc. 2019 To send flowers or a remembrance gift to the family of Henry Wayne Whiteley, please visit our Tribute Store. Arnold Eugene (Gene) Matthews, age 82, passed away peacefully on Saturday, March 2, 2019, at home surrounded by family. He was born August 3, 1936, in Denver, Colorado to George and Anna Matthews. He grew up and attended school in Nampa, Idaho. He moved with his family to Twin Falls, Idaho, in 1953 and graduated high school there in 1954 as one of the first graduates of the new Twin Falls Senior High School. He married Cecelia Strain on June 8, 1955, in Salinas, CA. He worked as a master automobile mechanic most of his life and retired as the regional manager of Suburban Propane in Twin Falls. He enjoyed spending time with his family, especially camping and fishing, hunting, shooting traps, and sharing a cold one. His special joy was dancing with mama. He was very involved in the Twin Falls Gun Club for over 20 years and a lifetime member of the NRA. He is survived by his children: Richard (Jeannie) Matthews of Boise, Patricia (John) Kumm of Twin Falls, Michele (Rebecca) Matthews of Twin Falls, and Theresa (Chris) Kalas of Twin Falls; 20 grandchildren, 34 great grandchildren, 5 great great grandchildren and many nieces and nephews. He is also survived by his sisters, Ardith Ann Sharp of California and Georgea Walter of Twin Falls, as well as his sister-in-law, Doris Matthews of California. He is preceded in death by his parents, George and Anna Matthews, wife Cecelia (Strain) Matthews, brother Lew Matthews, and daughters, Loretta and Deborah. In lieu of flowers, the family requests donations to the St Luke’s Humphreys Diabetes Center. Inurnment and a celebration of life will be held at a later date. Condolences can be left at reynoldschapel.com. William (Bill) Edwin Wegener, 91, died December 18, 2018, while snow birding in Salton City, California. He was doing one of his favorite things, taking a bike ride, when he was struck by a car. Bill was born in 1927 to Louis F. and Grace M. Wegener in Buhl, Idaho. He attended Syringa grade school for 8 years, graduating as salutatorian in a class of 2. We suspect he might have been valedictorian, but second best in a class of two made a better story. He enjoyed football, track and working at Wyatt Hardware during his Buhl High School years. His senior year was interrupted by a stint in the Navy near the end of World War II as a sonar operator and maintenance technician. After his discharge, Bill attended Albion Normal, Linfield and Colorado A & M colleges. He had good memories of working for logging companies in Oregon and Washington during summer vacations. He ran out of money after two and one-half years in school, returned to Buhl and married Naidene Waldron, from Malad, Idaho, who he had met at Albion. Most of his working years were at Nampa International Harvester (7 years), and Boise International (27 years) as parts manager. When International Harvester reorganized, he ran a truck shop for his old International Harvester dealer and friend, Jim O’Neill, in Elgin, Oregon. Bill and Naidene had a cozy home on Phillip’s Creek and enjoyed five years there before returning to their place south of Boise to farm a little and golf a little. They moved back to Buhl in 1995 to be close to family. They enjoyed over 22 years wintering in Salton City, California. Bill will be remembered for his calm and relaxed personality. He loved hunting, fishing, and four wheeling, but he was never in a hurry. He had such a quick wit and great sense of humor and is greatly missed by all who knew him. Bill was preceded in death by his wife, Naidene, and sister, Mary Lou Atkins. He is survived by his sons William Louis Wegener (Kim) and James Edwin Wegener; daughter Kelle Wegener and her sons Andrew M. Myshin and Michael D. Myshin; and nephews Tom Skeem (Jill) and Rob Atkins (Laurie). In lieu of flowers, the family believes Bill would appreciate donations to the Idaho Humane Society, the Gooding Animal Rescue – from whence his dear pup Sadie was rescued, or the Buhl Senior Center. A Celebration of Life will take place Saturday, March 16, 2019 from 1 to 3 p.m.at the Moon Glo Village Clubhouse located at 910N 1450E, Buhl, ID. Lunch will be provided. TWIN FALLS—Funeral service will be held at 2 p.m. Tuesday, March 12, 2019 at the First Christian Church. A viewing was held from 5 to 7 p.m. Monday, March 11, 2019 at Parke’s Magic Valley Funeral Home. RUPERT—Viewing for family and friends will be held from 6 to 8 p.m., Tuesday, March 12, 2019 at Hansen Mortuary. Graveside services will be held 11 a.m. Wednesday, March 13, 2019 at the Rupert Cemetery. Services are under the direction of Joel Heward Hansen Mortuary. TWIN FALLS—There will be a viewing Thursday, March 14, 2019 from 6 to 8 p.m., at Rosenau Funeral Home, 2826 Addison Ave E. Twin Falls, ID. The funeral will be Friday, March 15, 2019 at 11 a.m. Viewing begins at 10 a.m. prior to service at the Hankins LDS Church building, 680 Hankins Rd North, Twin Falls, Idaho. Calvin Webster Flint, 86, of Buhl, died Saturday, March 9, 2019 at a Twin Falls care facility. Services are pending under the care of Farmer Funeral Chapel, Buhl. Elmer E. Kissinger, 85, of Jerome died Sunday, March 10, 2019 at a local hospital. Arrangements are pending at Farnsworth Mortuary, Jerome. D. Jennie Egbert, an 89-year-old Burley resident, passed away Sunday, March 10, 2019, at Rosetta Assisted Living in Burley. Arrangements are under the direction of Rasmussen-Wilson Funeral Home. Ida Kaufman, 100, of Buhl, passed away on Saturday, March 9, 2019 at a local hospital. Arrangements are pending under the care of Farmer Funeral Chapel, Buhl. Helen Noll, 94, of Buhl, passed away Saturday, March 9, 2019 at a local care center. Arrangements are pending under the are of Farmer Funeral Chapel, Buhl. Dorothy A. Brennan, 70, of Buhl, passed away Sunday, March 10, 2019 at a local care center. Arrangements are pending under the care of Farmer Funeral Chapel, Buhl. Blaine R. Williams, 87, of Buhl, passed away Sunday, March 10, 2019 at a local hospital. Arrangements are pending under the care of Farmer Funeral Chapel, Buhl. Carol Jean Barton, passed away in Twin Falls, Idaho on Saturday March 9, 2019 at the age of 75. Visitation will be on Sunday, March 17, 2019 from 5 to 7 p.m., at Parke’s Magic Valley Funeral Home, 2551 Kimberly Rd in Twin Falls. Funeral services will be held on Monday, March 18, 2019 at 11 a.m., at the Kimberly Church of Jesus Christ of Latter-day Saints, 222 Birch St. in Kimberly, Idaho. Family will also receive friends on hour prior to the service in the Relief Society Room at the Church. Barbara Durfee, 89, a resident of Gooding, passed away on Sunday, March 10, 2019 at DeSano Place Assisted Care in Gooding. Funeral arrangements are pending under the care and direction of Demaray Funeral Service—Gooding Chapel. Condolences, memories and photos can be shared with the family by following the obituary link at www.demarayfuneralservice.com. 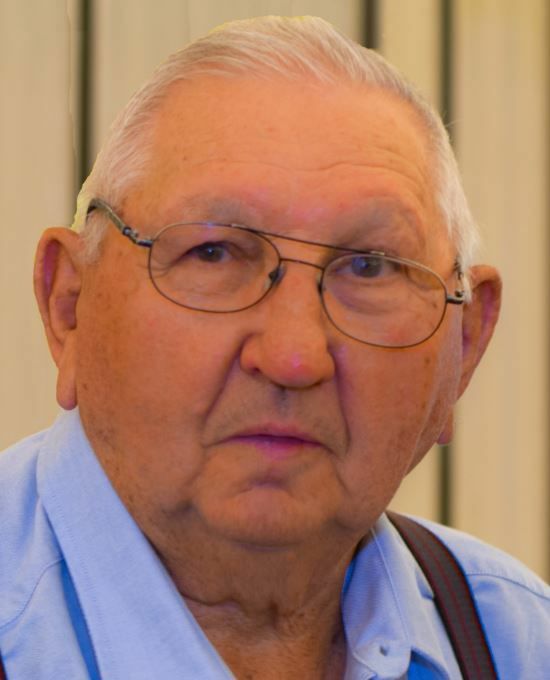 Billy Joe Moon, 84, a resident of Shoshone, passed away on Sunday, March 10, 2019 at St. Luke’s Medical Center in Twin Falls. Funeral arrangements are pending under the care and direction of Demaray Funeral Service—Shoshone Chapel. Condolences, memories and photos can be shared with the family by following the obituary link at www.demarayfuneralservice.com. Bobby Trivitt, 63, of Twin Falls, died Saturday, March 9, 2019 at home. Arrangements are pending Serenity Funeral Chapel Life Celebration Center and Cremation Services of Idaho, Twin Falls. Condolences may be shared at www.serenityfuneralchapel.com. TWIN FALLS—A Celebration of Life will take place today from 1 to 3 p.m. at Parke’s Magic Valley Funeral Home 2551 Kimberly Rd. Twin Falls, Idaho. TWIN FALLS—Funeral service at 2 p.m. Tuesday, March 12, 2019 at the First Christian Church. A viewing will be held from 5 to 7 p.m. Monday, March 11, 2019 at Parke’s Magic Valley Funeral Home. RUPERT—Viewing for family and friends will be held from 6 to 8 p.m. Tuesday, March 12, 2019 at Hansen Mortuary. Graveside services will be held 11 a.m., Wednesday, March 13, 2019 at the Rupert Cemetery. Services are under the direction of Joel Heward Hansen Mortuary. Dwayne passed away on March 7, 2019 at home surrounded by loved ones. He was born on September 27, 1929 to Howard and Maybell Pruett of Bliss. Dwayne was an excellent student and was always proud that he never missed one day of school in 12 years! He graduated at 17 and immediately joined the Army. Upon his return, he married his sweetheart, Azell Colter, of Gooding in 1949. They spent 67 years together before her passing on July 23, 2016. Aside from his 43+ years of work on the Union Pacific Railroad, Dwayne was an avid outdoorsman. He loved his yearly hunting with his dad and brothers and fishing with Azell, his daughters, granddaughters or great grandchildren. He also loved softball, playing cards with his family, and was very well read. Grampy never hesitated to curl up on the couch with the kids to watch game shows or cartoons. He gave us all the tools figuratively and literally to work hard, be proud of what you accomplish and always strive to learn something new. If Dwayne opened his mouth to speak, we knew it was either going to be life-changing, hilarious...or a Jeopardy answer. His dry sense of humor, quick wit, riddles, and silly songs will be greatly missed! Dwayne is survived by: his brother—Steve (Shirley) Pruett; and his daughters—Debbie (Dean) Kline of Twin Falls and Phyllis (Roy) Moore, Salt Lake; granddaughters—Traci (Sean) Petersen, Salt Lake; Vikki (Alistair) Legg, London; Chelsey Kline, Portland; and Courtney Kline, Twin Falls; great grandchildren—Kyle, Austin Marie, Spencer, Jake and Katie; and his great-great granddaughter “baby shark”—Kinsleigh. He was preceded in death by his parents; brother – Gene; sister – Wanda; and wife—Azell. The family wants to express appreciation to Dr. Anne Fullmer, and the staff at Heritage Hospice, especially Lisa and Krystal in the final days. A private family burial will be held at the Elmwood Cemetery in Gooding. A memorial reception will be held on Saturday, March 16, 2019 from 1 to 3 p.m., at the Lincoln County Community Center at 201 South Beverly in Shoshone. Beulah Isabelle “Izzy” Wilson 98 died February 25, 2019. Izzy was born July 9, 1920 in Jefferson City, Missouri to Earl and Beulah Bartlett. Izzy was the eldest girl amongst her 11 siblings. Izzy moved with her family to Twin Falls, Idaho in 1936. Izzy married Fred Wilson on February 19, 1941. Izzy and Fred had two children, Paulette and Doug. Izzy and Fred raised their family in the Magic Valley. After their children were grown Izzy and Fred lived in Corona, CA. Izzy returned to Idaho in 2001 to be near family. Izzy loved to fish, can produce, and quilt. Izzy spent many enjoyable hours quilting with friends at the Twin Falls Senior Center. Izzy was preceded in death by her parents, her husband, 10 siblings and daughter. Izzy is survived by her son, seven grandchildren and many great and great-great grandchildren. A gathering for family and friends will be held on Saturday March 16, 2019 from 1 to 3 p.m., at Rosenau Funeral Home. Private interment will take place at Sunset Memorial Park, Twin Falls. On February 28, 2019, Joseph Everett Newbry, 93, of Twin Falls, Idaho, beloved husband, father, grandfather, great-grandfather, great-great-grandfather, uncle, cousin, and friend died from effects of age. Joe, an only child, was born February 16, 1926 in Twin Falls, Idaho to Benjamin Franklin and Marguerite Ann (Kline) Newbry. Joe was raised during the Great Depression; his family moved frequently to find work. He attended elementary school in Kuna, Dixon, and Hansen, Idaho. As a small boy, he rode his horse Dixie in the desert area called Pleasant Valley south of Boise. He also rode Dixie to school in Kuna where they had a barn for the horses. During World War II high school students in Hansen were bused to Twin Falls High School, where he graduated in 1944. The day after high school graduation Joe enlisted in the Army Air Corps and was trained as a ball turret gunner on the B-17 bomber. He received an honorable discharge from the Army Air Corps in 1947 and served in the Idaho National Guard until moving to Oregon in 1951 for work. While home on leave, Joe married Barbara Jane Burdick on January 30, 1945 in Hansen, Idaho. Joe joined the Church of Jesus Christ of Latter-day Saints in 1954 and was a faithful member of the Church from that point forward. Their marriage was later solemnized in the Idaho Falls Temple. Joe had many callings in the Church. He was a Branch President for a total of 17 years in Forks, WA and Metaline Falls, WA. Three sons were born to this union of 54 years. At the age of 32 Joe and his family moved to Ellensburg, WA so he could attend college. He graduated from Central Washington University with a B.A. degree in education. He later earned a Masters Degree from Central. He taught school in Ellensburg and was an elementary school principal in Forks and Metaline Falls, Washington. Following retirement, he and Barbara moved back to Twin Falls where Joe taught school, and supervised student teachers for Idaho State University. Following Barbara’s death in 1999, Joe became a favorite substitute teacher in the Hansen Idaho School District. Joe received Idaho’s Ageless Hero Award for working with young people. Joe married Linda Manning Heiner in 2000. He and Linda served in the Tennessee Knoxville Mission and also as ordinance workers in the Boise and Twin Falls Idaho Temples. They also enjoyed extensive travel. Linda survives him, along with his three sons: Michael (Scheri) of California; David (Paula) and Joseph Kurt (Robin) all of Washington, and Linda’s children Brandon (Rachael) Heiner of Virginia, and Valerie (Nathan) Coffey of Texas, 18 grandchildren, 26 great-grandchildren, and one great-great-grandchild. Joe was preceded in death by his parents, his wife Barbara, great-granddaughter Annabelle Marie Newbry, and grandson Brady Orville Heiner. Joe never met a stranger. He possessed a wonderful sense of humor and an open and friendly disposition. He was loved and respected by his family and everyone he met during his lifetime. His love, service, counsel, patriotism, and “Susie Q” stories will be deeply missed. Many thanks to all of Joe’s caregivers – Visions Hospice, Genesis, St. Luke’s hospital doctors, nurses, and Hospice, Grace and Syringa assisted living. There will be a viewing Thursday, March 14, 2019 from 6 to 8 p.m., at Rosenau Funeral Home, 2826 Addison Ave E. Twin Falls, ID. The funeral will be Friday, March 15, 2019 at 11 a.m. Viewing begins at 10 a.m. prior to service at the Hankins LDS Church building, 680 Hankins Rd North, Twin Falls, Idaho. Burial, with military rites by American Legion Post #7, will take place at Sunset Memorial Park, Twin Falls, ID. In lieu of flowers, contributions can be made to the Humanitarian Fund of the Church of Jesus Christ of Latter-day Saints (mailing address: LDS Philanthropies, 1450 N. University Ave, Provo, UT 84604 or online at give.lds.org); or to the American Legion, Post #7, P.O. Box 863, Twin Falls, Idaho 83303. Mark Dennis Nasura, 56, a resident of Gooding, passed away on Friday, March 1, 2019 at St. Luke’s Medical Center in Boise. Mark was born on November 20, 1962 in Rupert, Idaho, the son of Dennis and Anna Nasura. A memorial celebration of life will be held on Friday, March 15, 2019 at 2 p.m., at Demaray Funeral Service – Gooding Chapel. Cremation arrangements are under the care and direction of Demaray Funeral Service—Gooding Chapel. Linda was born February 14, 1940 in Pierre, South Dakota to Clifford and Katherine Ebright. She passed away March 5, 2019 in Twin Falls, Idaho. Linda worked at the Oasis Stop-n-Go # 14 as a cashier. She is survived by two sons: Kelly Atwell and Bryan Atwell of Boise, Idaho; two brothers: Robert Barnes of Tyler, Texas and Riley Barnes of Page, Arizona. A Gathering for family and friends will be held Saturday, March 16, 2019 from 2 to 4 p.m., at Reynolds Funeral Chapel in Twin Falls, Idaho. Celebration of Life at Murtaugh Lake on Saturday, June 22, 2019. Condolences may be left at reynoldschapel.com. Ruth Buckmaster Fife left our world on March 6, 2019. She was born in Twin Falls on August 26, 1928 to Neal Buckmaster and Evelyn Johnson Buckmaster. She gained two older sisters Mary Buckmaster Qualls and Jean Buckmaster Crawford. Ruth’s Father, Mother and Sisters preceded her in death. Ruth is survived by her husband Max, three children – Brad (Sally) Fife, Randy (Jean) Fife and Dana Jo (Greg) Cameron, all who live in Rupert. Nine Grandchildren, seventeen Great Grandchildren, and one Great Great Granddaughter EmberLynn “Ruth”. Ruth’s Father passed away in the late summer before she started her senior year at Twin Falls High School. The Principal made arrangements so she could go to school half days and still graduate. Ruth had many jobs to help support her Mother. She worked at Woolworth’s a “Tray Girl” at the Twin Falls Hospital, C.C. Anderson’s, picked cherries on “Cherry Lane”, which was North Washington in Twin Falls. There were cherry trees in every yard on the whole street. On November 17, 1948 Max and Ruth were married in Max’s parent’s front yard in Filer. Ruth was working at Young’s Dairy about a year before they were married and continued doing so after their wedding. From November 1948 to the spring of 1954 they were busy having three children, renting and farming farms in Filer and Hazelton. On August 4, 1953 Max drew a farm North of Rupert thanks to the opportunity offered to Veterans for a government land drawing. Ruth took to being a Farmer’s Wife Like a “Duck to water”. She drove tractors and trucks, raised bum lambs, baby calves, turkeys to buy Max his first rifle. She loved Max, her family, farming and Rupert. Ruth and Max moved on their farm in 1954 and it has been their home ever since. Viewing for family and friends will be held from 6 to 8 p.m. Tuesday, March 12 at Hansen Mortuary. Graveside services will be held 11 a.m. Wednesday, March 13, 2019 at the Rupert Cemetery. Services are under the direction of Joel Heward Hansen Mortuary. Pizza and Pop will be served for everyone following the services at the Rupert Church of Jesus Christ of Latter Day Saints Stake Center 341 E 18th Street Rupert, Idaho. Ruth did not believe in flowers, she loved St. Judes Charity for Children or any charity of your choice. FILER—Gerald Wayne Beason, a Filer resident, passed away on Wednesday, March 6, 2019, at St. Luke’s MV Medical Center in Twin Falls, Idaho. Gerald was born in Kiowa, Kansas to Luther and Mildred (Olson) Beason on November 27, 1931. He grew up in Kansas graduating from Kiowa High School in 1951 and later attending Southwestern College in Winfield, Kansas on a football scholarship. After serving 2 years in Georgia in the military and several years farming in Kiowa, he followed his brother Duane to Burley, Idaho. Gerry married his school sweetheart, Margaret Ann Hankey, on August 24, 1952, in Wichita, Kansas. A formal garden wedding ceremony was held in her parents’ backyard in Wichita. They celebrated their 66th Wedding anniversary in 2018, but had been together for nearly 70 years total. They lived in Kiowa prior to Gerry being drafted into the Army during the Korean Conflict. Gerry’s basic training was in Manhattan, Kansas. He was assigned to Fort Gordon Army Base and lived in Grovetown, Georgia. They lived in Grovetown for 2 years where their son, Bobby, was born. When Gerald was discharged, they moved back to their home town of Kiowa where their 3 daughters, Connie, Jodie and Tammie, were born. They resided there until March of 1965 when they packed up the family and dad’s English Setters and moved to Burley, Idaho. In 1988, they moved to Malta, Idaho for 11 years before moving to Filer in 2009, to be closer to family. He lived there until his death. In his youth, Gerry followed the wheat harvest, driving a combine throughout the Midwest during the summer months and after his graduation. Later he worked for many of the local farmers and ranchers, primarily Ding Alberding of Kiowa, after his discharge from the Army and prior to moving to Burley. He worked for Simplot in Burley before retiring in 1983. After retirement he was self-employed with his lumber mill business in Malta. Gerry cut his own lumber to side their entire house, add a family room, back porch, and large deck. When he finished his home, he sold his lumber mill. Gerry had a love of the outdoors and an adventurous spirit. He loved camping, fishing, hunting, riding snowmobiles, motorcycles and 4-wheelers. He owned an ultra-light airplane which he flew around Malta. It was very colorful and many people told him they enjoyed watching him fly around town as much as he enjoyed flying it. Once he had to do an emergency landing which left him unscathed until he fell and stumbled into a cactus. After he started having heart problems he decided to sell his ultra-light. He was very helpful to all his neighbors, pushing snow off their driveways, helping them split their wood, helping with their wells, and anything else he could do to help. He was a Jack-of-All-Trades. He was definitely known as a “good neighbor”. He is survived by his wife, Margaret, of Filer, Idaho; their son Bobby Delane Beason of Pocatello, Idaho; daughters Connie Leigh (Rick) Dunn of Filer, Idaho; Jodie Elaine (C.J.) Johnson of Filer, Idaho; and Tammie Lynne (Cary) Darling of Boise, Idaho; 12 wonderful grandchildren, 28 wonderful great-grandchildren; and one wonderful great-great-grandchild. He was preceded in death by his parents, Luther and Mildred Beason, his brother, Duane Beason, and great granddaughter, Sierra Karlene Schmidt. A Celebration of Life will be held this summer, date and time to be determined. Cremation is under the direction of Serenity Funeral Chapel Life Celebration Center and Cremation Services of Idaho, Twin Falls. Memories and condolences may be shared with the family or on the Serenity Funeral Chapel’s webpage under Gerry’s memorial at www.serenityfuneralchapel.com/notices/Gerald-Beason. Ruth Denton, 94, of Twin Falls, Idaho passed away, Saturday, March 9, 2019 at Brookdale Senior Living. Arrangements are under the direction of Rosenau Funeral Home. Juan Garcia, 75, of Rupert, passed away Thursday, March 7, 2019 at St. Luke’s Magic Valley Regional Medical Center. Funeral arrangements are pending and will be announced by Joel Heward Hansen Mortuary. TWIN FALLS—A Celebration of Life will take place Monday, March 11, 2019 from 1 to 3 p.m., at Parke’s Magic Valley Funeral Home 2551 Kimberly Rd. Twin Falls, Idaho. RUPERT—Viewing for family and friends will be held from 6 to 8 p.m. Tuesday, March 12, 2019 at Hansen Mortuary. Graveside services will be held 11 a.m. Wednesday, March 13, 2019 at the Rupert Cemetery. Services are under the direction of Joel Heward Hansen Mortuary. Patricia Kaye Fuentes of the San Francisco Bay Area passed away on Saturday, February 23, 2019 with her family and friends by her side. She was 75. She was born on December 1, 1943 in Great Bend, Kansas to Ernest and Lucille Martin and graduated from Twin Falls High School. She is survived by her husband, Joe Fuentes; daughter and son- in-law, Jennifer and Brad Bowers; grandson Jacob and son-in-law Jeff Combs; brother, Mike Martin. She was preceded in death by her daughter, Jessica Diane, husband, Sidney Conner Shute, and parents, Ernest and Lucille. Ruth Fife, 90 of Rupert passed away Wednesday, March 6, 2019 at her home. Graveside services will be held 11 a.m. Wednesday, March 13, 2019 at the Rupert Cemetery. Viewing for family and friends will be held Tuesday, March 12, 2019 at Hansen Mortuary. Services are under the direction of Joel Heward Hansen Mortuary. Dwayne Pruett, 89, a resident of Twin Falls, passed away on Thursday, March 7, 2019 at his home in Twin Falls. Funeral arrangements are pending under the care and direction of Demaray Funeral Service – Gooding Chapel. Condolences, memories and photos can be shared with the family by following the obituary link at www.demarayfuneralservice.com. Ronald Wilbur Bothum, 92, of Paul passed away Wednesday, March 6, 2019 at St. Luke’s Magic Valley Medical Center in Twin Falls. Private family services will be held. Arrangements are under the direction of Morrison Payne Funeral Home. BUHL—A viewing will be held Friday, March 8, 2019 from 6 to 8 p.m., at Farmer Funeral Chapel, 130 9th Ave North Buhl, Idaho 83316. A funeral service will be held on Saturday, March 9, 2019, 10 AM, at The Church of Jesus Christ of Latter-day Saints, 501 Main Street Buhl, Idaho 83316 with viewing one hour prior to service. JEROME: Dwight Shipley of Jerome passed away on February 23, 2019. Memorial services for Dwight will be held at 11 a.m. on Saturday, March 9, 2019 at Rosenau Funeral Home. BUHL—Memorial service will be held today at 10:30 a.m., at Farmer Funeral Chapel, 130 9th Ave North, Buhl. HEYBURN—Funeral will be held today at 11 a.m., at The Church of Jesus Christ of Latter-day Saints, 300 S 500 W, Heyburn. A visitation was held from 6 to 7 p.m. Friday, March 8, 2019 at Rasmussen-Wilson Funeral Home, 1350 E 16th St in Burley and at the church today from 10 to 10:45 a.m.
Joan Lee Walton was born January 10, 1938. Joan passed away peacefully March 3, 2019. A viewing will be held Monday, March 11 from 5 to 7 p.m., at Parke’s Magic Valley Funeral Home. A Funeral Service will take place Tuesday, March 12 at 2 p.m. at the First Christian Church. You can leave condolences for the family at www.magicvalleyfuneralhome.com. Verla Warren HANSEN—Graveside service today at noon at Sunset Memorial Park. A viewing were held from 6 to 8 p.m. Thursday, March 7 at Reynolds Funeral Chapel. TWIN FALLS—A dinner is scheduled for today at 2 p.m., at El Sombrero Restaurant in Jerome. Friends and family are all welcome to attend and celebrate. Arrangements are under the care of Demaray’s Funeral Home in Jerome, Idaho. BURLEY—Funeral services will be held today at 11 a.m., at Rasmussen-Wilson Funeral Home, 1350 E. 16th St., in Burley, where friends may call from 6 to 8 p.m. Thursday, March 7, and one hour prior to the funeral on Friday. Burial will be held at the Valley Vu Cemetery in Malta following the funeral service. TWIN FALLS—She will be cremated and have a small reception for family and friends today from 2 to 4 p.m. at Rosenau Funeral Home in Twin Falls. Roy Lee Hart TWIN FALLS—Funeral service will be held today at 11 a.m., at Hansen Mortuary. Viewing for family and friends will be held from 6 to 8 p.m. Thursday, March 7, 2019 at the mortuary and for one hour prior to the services. Services will conclude with burial in the Paul Cemetery under the direction of Joel Heward Hansen Mortuary. TWIN FALLS: Memorial Services for Mildred M. Ledbetter will take place today at 2 p.m. at Parke’s Magic Valley Funeral Home 2551 Kimberly Rd. Twin Falls, Idaho. BUHL—A viewing will be held today from 6 to 8 p.m., at Farmer Funeral Chapel, 130 9th Ave North Buhl, Idaho 83316. A funeral service will be held on Saturday, March 9, 2019, 10 a.m., at The Church of Jesus Christ of Latter-day Saints, 501 Main Street Buhl, Idaho 83316 with viewing one hour prior to service. BUHL—Memorial service at 10:30 a.m. Saturday, March 9, 2019 at Farmer Funeral Chapel, 130 9th Ave North, Buhl. HEYBURN—Funeral at 11 a.m. Saturday, March 9 at The Church of Jesus Christ of Latter-day Saints, 300 S 500 W, Heyburn. A visitation will be held today from 6 to 7 p.m., at Rasmussen-Wilson Funeral Home, 1350 E 16th St in Burley and at the church on Saturday form 10 to 10:45 a.m.
BUHL—A Mass will be held in honor of Anna at St. Jerome Catholic Church in Jerome, ID on Monday, April 8 at 10 a.m. A Celebration of Life will be held at the Jerome Country Club on Monday, April 8, 2019, 2 to 4 p.m. She will be laid to rest in the Bonin Family Plot in Hailey, Idaho at a later date. Mary Ann Trowbridge, 78, of Gustine, California formerly of Twin Falls, passed away March 4, 2019 in Turlock, California. Services are pending and will be announced by Parke’s Magic Valley Funeral Home of Twin Falls. Ila Rose Belliston, 90, of Twin Falls, passed away March 7, 2019 at Grace Assisted Living in Twin Falls. Services are pending and will be announced by Parke’s Magic Valley Funeral Home of Twin Falls. Virginia Estop, 93, of Lewiston formerly of Gooding, passed away February 20, 2019. Rosary and Mass will be at All Saints Catholic Church in Lewiston March 13th at 10:30 a.m. There will be a graveside service April 4 at the Gooding Cemetery at 1 p.m.
Linda Kay Lewis, 79, Twin Falls, Idaho passed away on Tuesday, March 5, 2019 at a local hospital. Arrangements are under the direction of Reynolds Funeral Chapel. Gerald W. Beason, 87, of Filer, died Wednesday, March 6, 2019 at St. Luke’s Magic Valley Medical Center, Twin Falls. Arrangements are pending Serenity Funeral Chapel Life Celebration Center and Cremation Services of Idaho, Twin Falls. Condolences may be shared at www.serenityfuneralchapel.com. Zane Darren Gibson, 50 of Buhl, passed away February 27, 2019 at his residence. Arrangements are pending under the care of Farmer Funeral Chapel, Buhl. John Wayne Sutton, 60, a resident of Wendell, passed away on Wednesday, February 27, 2019 at his home in Wendell. No funeral services will be held. Cremation arrangements are under the care and direction of Demaray Funeral Service—Wendell Chapel. Condolences, memories and photos can be shared with the family by following the obituary link at www.demarayfuneralservice.com. Dorothy Maud Amero, 93, of Buhl, Idaho passed away March 4, 2019. Dorothy was born March 29, 1925 in Irvine Medicine Hat, Alberta, Canada to Charles Albert Woodward and Anges Maud Huckle. She and her five siblings (three brothers and two sisters) grew up on the bad lands of Alberta, Canada. Dorothy attended the University of Alberta Canada where she graduated with a degree in Entomology. After she graduated, she took a position at Sheffield Army Base. It was at a social dance thrown by the base that she met the love of her life, Ernest Edward Amero, in 1948. Ernest worked at the Sheffield Army Base as an instrument technician. Dorothy and Ernest were married March 25, 1950. That same year they welcomed their first child, Ralph Amero. In 1953 Dorothy and her family moved to Southern California. She then got a degree and became a Gemologist. Dorothy and Ernest had three more children; Eldon (1955), Heidi (1957), and Lynol (1959). In 1962, Dorothy joined The Church of Jesus Christ of Latter-day Saints. In 1968 Dorothy and her family moved to Buhl, Idaho. It was there that they purchased and opened Amero Jewelry Store on Main Street. They owned the store until 1982. Ernest and Dorothy went to Idaho Falls and were sealed for all eternity at the Idaho Falls Temple in 1970. In 1970 they bought Phelps Farm on Clear Lakes Road where they enjoyed farming and owned some cattle. From 1986-1992 Dorothy took every art class that CSI had to offer, whether it would have been for photography or drawing, Dorothy was going to learn how to do it. Dorothy was an avid leather tooler, and dog breeder. She loved to do crafts, paint, garden, and can things. She was in scouting for 45 years, 35 of those scouting years was with the Snake River Counsel. She was a devout member of the Buhl First Ward of the Church of Jesus Christ of Latter-day Saints. Dorothy volunteered doing genealogy research at the church family history center. She was an author of several books that were published, short stories and poems, and she was also an avid computer nerd. She learned her computer skills at the age of 84. Dorothy outlived all of her siblings. Dorothy was very dedicated to her family and her work and study of genealogy. Dorothy is survived by her children, Ralph (Elsie) Amero; Eldon (Julie) Amero; Heidi (Michael) Hadley; and Lynol (Alice) Amero; her 17 grandchildren; and her 40 great grandchildren. Dorothy was preceded in death by her parents; siblings; one great grandson; and one niece. A viewing will be held Friday, March 8, 2019 from 6 to 8 p.m., at Farmer Funeral Chapel, 130 9th Ave North Buhl, Idaho 83316. A funeral service for Dorothy will be held on Saturday, March 9, 2019, 10 a.m., at The Church of Jesus Christ of Latter-day Saints, 501 Main Street Buhl, Idaho 83316 with viewing one hour prior to service. A graveside service will follow at West End Cemetery, Buhl. Memories and condolences may be shared with the family on Dorothy’s memorial webpage at www.farmerfuneralchapel.com. 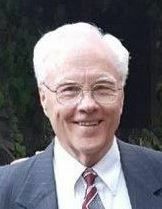 John “Dee” Hepworth of Twin Falls, and formerly of Filer, passed away Monday, March 4, 2019, at his home in Twin Falls, Idaho. Dee was born on October 7, 1939, in Jerome, Idaho, the fifth child of Riley and Willa Hepworth. He spent his childhood in Jerome and Filer, Idaho. Dee served in the United States Air Force from January 5, 1960 to October 1, 1963, and served in the reserves with an honorable discharge on January 4, 1966. On December 9, 1964, Dee married Joanne Marie Martens in Kimberly, Idaho. After their marriage they moved to Filer, Idaho where they farmed for 31 years. After retirement they moved to Twin Falls, Idaho. Dee and Joanne were blessed with four children. Dee was an active member of The Church of Jesus Christ of Latter-Day Saints where he served in many callings. He was a wonderful husband, father, grandfather, brother, and friend. Dee is survived by his wife Joanne Marie Hepworth of Twin Falls, ID and children, Julie (Jeff) Warr of Meridian, ID, Rick (Lisa) Hepworth of Pocatello, ID, Chad (Brianne) Hepworth of Twin Falls, ID. He is also survived by three sisters, Parma Kendrick of UT, Arlene (Calvin) Clark of WA, Carol Hoskins of WA, two brothers, Ray (Eileen) Hepworth of ID, Larry Hepworth of ID, twelve grandchildren and three great-grandchildren. Dee was preceded in death by his son Todd, his parents, and brothers Robert and Ronald. A visitation for Dee will be held from 6 to 8 p.m., Friday, March 8, 2019, evening at White Mortuary “Chapel by the Park” and from 10 to 10:45 a.m. Saturday morning in the Relief Society room at the church. Funeral services will held on Saturday, March 9, 2019, at 11 a.m. at The Church of Jesus Christ of Latter-Day Saints, 17th Ward, 2680 Elizabeth Blvd in Twin Falls, ID, with Bishop Scott Rasmussen conducting. Burial will follow at Sunset Memorial Park, Twin Falls, ID. To share a memory of Dee or to offer condolences to Dee’s Family please visit www.whitemortuary.com. Pamela Kaylor, 76, a resident of Bliss, passed away on Tuesday, March 5, 2019 at the North Canyon Medical Center in Gooding. Funeral arrangements are pending under the care and direction of Demaray Funeral Service - Gooding Chapel. Condolences, memories and photos can be shared with the family by following the obituary link at www.demarayfuneralservice.com. Donna Lee Lewis, 69, a resident of Gooding, passed away on Tuesday, March 5, 2019 at St. Luke's Medical Center in Twin Falls. Funeral arrangements are pending under the care and direction of Demaray Funeral Service - Gooding Chapel. Condolences, memories and photos can be shared with the family by following the obituary link at www.demarayfuneralservice.com. BUHL / S.L.C.—Funeral services will be held today at 11 a.m., at St. Joseph the Worker Catholic Church. Friends gathered with the family from 7 until 9 pm on Wednesday, March 6, 2019 at Memorial Mortuary, 6500 South Redwood Road. RUPERT—Funeral services will be held today at 11 a.m., at Hansen Mortuary. Services are under the direction of Joel Heward Hansen Mortuary. BURLEY—A memorial funeral Mass will be held today at 1:30 p.m., at St. Therese Little Flower Catholic Church, 1601 Oakley Avenue in Burley. Arrangements have been entrusted to Rasmussen-Wilson Funeral Home of Burley. HANSEN—Graveside service will be held at noon Friday, March 8, 2019 at Sunset Memorial Park. A viewing will be held today from 6 to 8 p.m., at Reynolds Funeral Chapel. TWIN FALLS—A dinner is scheduled for Friday at 2 p.m., at El Sombrero Restaurant in Jerome. Friends and family are all welcome to attend and celebrate. Arrangements are under the care of Demaray’s Funeral Home in Jerome, Idaho. BURLEY—Funeral services will be held at 11 a.m. Friday, March 8, 2019 at Rasmussen-Wilson Funeral Home, 1350 E. 16th St., in Burley, where friends may call today from 6 to 8 p.m., and one hour prior to the funeral on Friday. Burial will be held at the Valley Vu Cemetery in Malta following the funeral service. TWIN FALLS—She will be cremated and have a small reception for family and friends on Friday, March 8, 2019 from 2 to 4 p.m. at Rosenau Funeral Home in Twin Falls. TWIN FALLS—Funeral service will be held 11 a.m. Friday, March 8, 2019 at Hansen Mortuary. Viewing for family and friends will be held today from 6 to 8 p.m., at the mortuary and for one hour prior to the services. Services will conclude with burial in the Paul Cemetery under the direction of Joel Heward Hansen Mortuary. TWIN FALLS: Memorial Services for Mildred M. Ledbetter will take place Friday March 8, 2019 at 2 p.m. at Parke’s Magic Valley Funeral Home 2551 Kimberly Rd. Twin Falls, Idaho. HEYBURN—Funeral at 11 a.m. Saturday, March 9, 2019 at The Church of Jesus Christ of Latter-day Saints, 300 S 500 W, Heyburn. A visitation will be held from 6 to 7 p.m. Friday, March 8. 2019 at Rasmussen-Wilson Funeral Home, 1350 E 16th St in Burley and at the church on Saturday form 10 to 10:45 a.m.
BUHL—A Mass will be held in honor of Anna at St. Jerome Catholic Church in Jerome, ID on Monday, April 8, 2019 at 10 a.m. A Celebration of Life will be held at the Jerome Country Club on Monday, April 8, 2019, 2 to 4 p.m. She will be laid to rest in the Bonin Family Plot in Hailey, Idaho at a later date.